Xarelto, a highly touted alternative to the blood-thinning medication Warfarin, has come under fire with questions about the clinical trial that led to its approval. 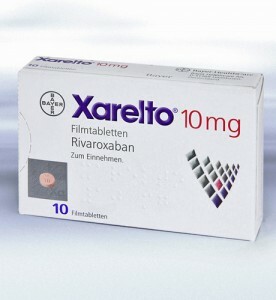 Faulty equipment used to monitor some of the patients in the trial may have contributed to results that made Xarelto look superior to warfarin, leading the FDA to launch an investigation into the matter. The questions are particularly compelling given that hundreds of patients who used Xarelto are now alleging they were injured by the drug. In fact, a number of lawsuits have been filed against Johnson & Johnson, the manufacturer of Xarelto, by plaintiff that claim the company failed to provide proper warnings about the potential risks of their product. Xarelto lawyers for some of these plaintiffs raised the question of the faulty testing device, stating physicians involved in the trial voiced concerns about the defects even while the study was still underway. The Rocket AF trial was the pivotal study that led to FDA approval of Xarelto in 2011. This study, which spanned 2006-2010, involved more than 14,000 patients from across the globe. The lead researcher of the study was Dr. Robert Califf, who has now been nominated by President Obama to head up the FDA. Dr. Califf and his colleagues presented evidence from the Rocket AF trial that showed rivaroxaban (Xarelto) was not inferior to warfarin in reducing the risk of stroke and non-CNS embolism in patients diagnosed with atrial fibrillation. Based on those results, the FDA approved Xarelto just three months after the study was published in the New England Journal of Medicine. Since that time, it has been discovered that the warfarin arm of the study used a faulty device to monitor whether patients were getting the right dosing amount of warfarin during the study. The defect may have led doctors to give the wrong dosing amount of warfarin, which could have resulted in a greater risk for bleeding events linked to the medication. Last fall, Johnson & Johnson notified federal regulators that the device used to monitor warfarin patients in that study, the INRatio sold by Alere, was issued a class I recall by the FDA in December 2014. A class I recall indicates that use of the device or drug in question could lead to an adverse health consequence or death. The recall was issued after the agency received 924 reports of the device malfunctioning. When used in the study, it was determined that the defective nature of the device could have significantly understated a patient’s risk of bleeding. This error could have resulted in patients being given the wrong dose of warfarin, which could have led to excess bleeding events and an unfair disadvantage for warfarin as it was compared to Xarelto. That disadvantage could have resulted in an inaccurate assessment of the safety and effectiveness of Xarelto compared to warfarin – an assessment that was used to approve this drug for use by the general public. The recall notice also brought to light the fact that patients with some underlying medical conditions might have had readings that were incorrectly lower than they should have been. In fact, investigators in one analysis found that more than one-third of the subjects in this study might have had medical conditions like abnormal hematocrit levels, which could have altered the results of the monitoring. Although researchers determined that these variables may have been statistically insignificant to alter the results of the study, they decided these discrepancies warrant further study. The results of the FDA investigation will be of utmost interest to plaintiffs who contend Xarelto led to life-threatening bleeding events that were not adequately addressed in the product’s label.